I’m now having a couple of years experience in using our SVN-client SmartSVN, but I would not call me an "SVN expert". Since approximately a half year we are using Git to develop our Git-client SmartGit, but I’m definitely neither a Git expert nor an experienced Git user. To be honest, I’m only using the Git features which are available in SmartGit, because I can’t remember all the command line options. Nevertheless, I think I have a good overview over both tools, especially, because I use both for my daily work. With SVN you have pristine copies of the files available in the admin-areas which allow, e.g., to see the local uncommitted changes without connection to the SVN server. But if you have to commit your changes, you will need the network connection to the SVN server. With Git you can commit your changes as you like, because you have your own copy of the repository locally available. Only if you want to synchronize your repository with an external one, you need the network connection. Git, just like CVS, versions only files. You can’t store an empty directory in the repository like with SVN. Git has just one location for its admin files, the .git directory in the root of your working tree. 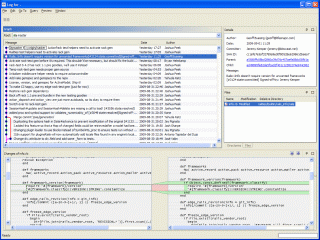 SVN currently scatters its .svn directories over the whole working copy. This makes restructuring (moving or copying) files or directories with Git a no-brainer — with SVN you always have to take care to not move or copy the .svn files to not screw up your working copy. A side-effect is, that reading a Git working tree is much faster than reading a comparably large SVN working copy. SVN has a clear definition of the encoding to use for storing file names or commit messages in the repository (UTF-8). This makes it very platform-independent. You can configure Git to use some special encoding, but it does not enforce it. This reduces Gits inherent platform-independence significantly. SVN does not have a special tag or branch feature, but the ability to create light-weight copies of whole directory structures can be used in combination with a special repository structure to achieve that. Unfortunately, a lot of SVN users don’t follow the standard repository structure suggested by the SVN team and reinvent their own. This makes it hard for tools like SmartSVN to "transparently" support tags and branches. Git supports tagging and branching as a native feature. In combination with the locally available repository, this has the outstanding advantage that you can create as many local branches you like, e.g. to implement larger features, without the need to store such “shelves” in the central repository. With SVN usually a couple of projects are stored in the same repository, separated only by a certain repository structure. 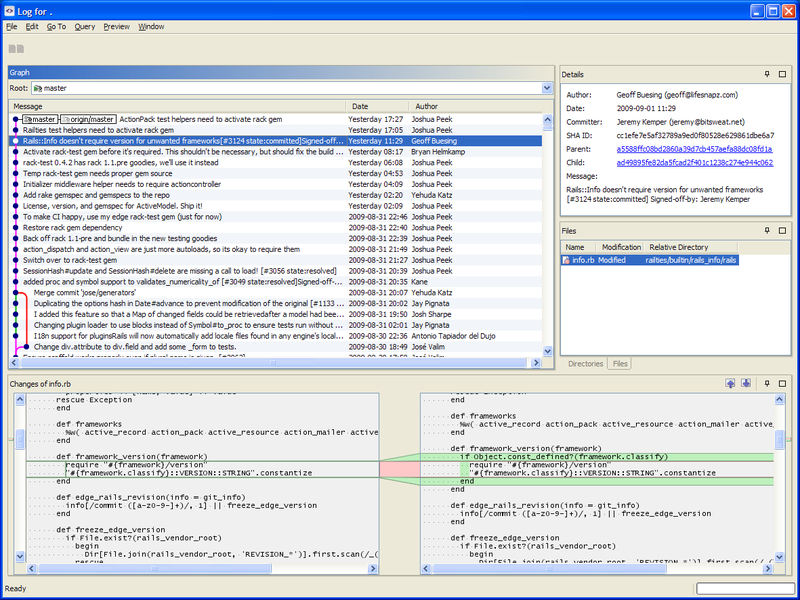 Users can easily check out only certain parts of a larger repository. With Git you have one repository for one project. Everyone working on the project needs to have the complete repository. With SVN it is very easy to refer to a repository state by a revision (a plain number). Git instead uses hash-codes which are hard to read and impossible to remember for humans. When working frequently with binary files, SVN’s locking feature is a convenient way to exclusively reserve a certain file for editing for a while. Due to its distributed nature this is not possible with Git. SmartGit, a client for the distributed version control system (DVCS) Git, is available as third milestone release. SmartGit, a client for the distributed version control system (DVCS) Git, is available as second milestone release.